We offer the following products for your home and garden. 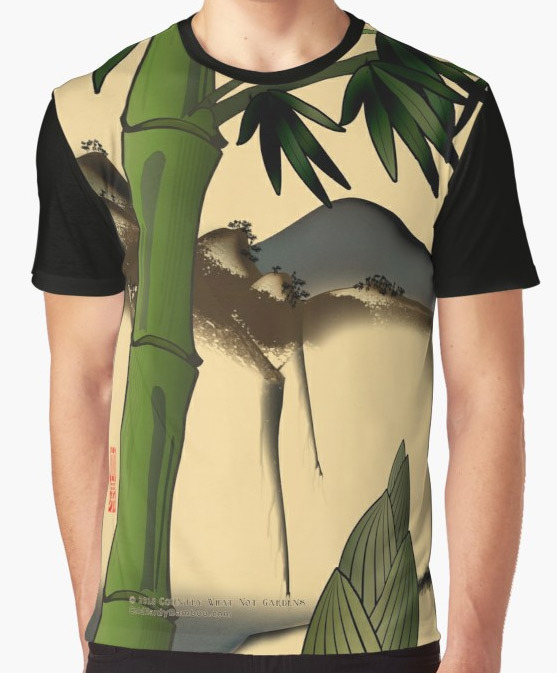 We offer our various bamboo graphics on over 50 products at our Redbubble store. Click here to browse or purchase. 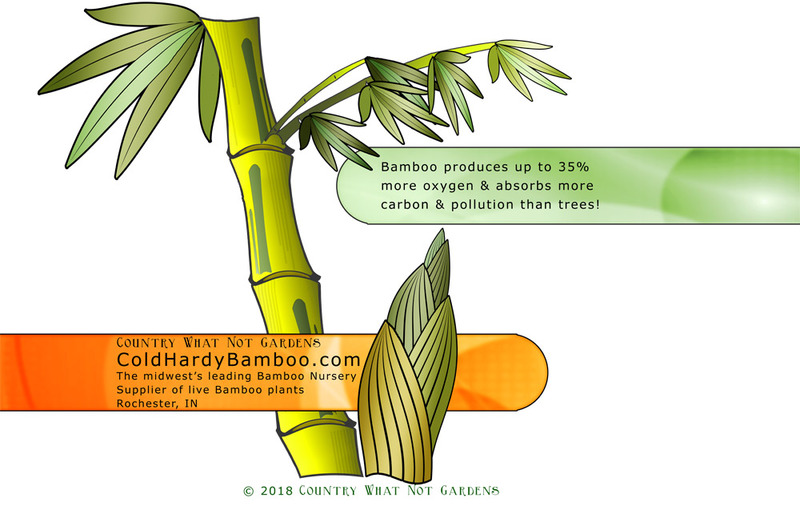 This graphic promotes bamboo's green benefits. 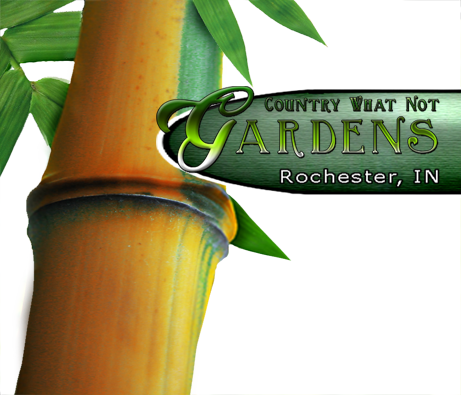 Bamboo produces up to 35% more oxygen & absorbs more carbon and pollution than trees! 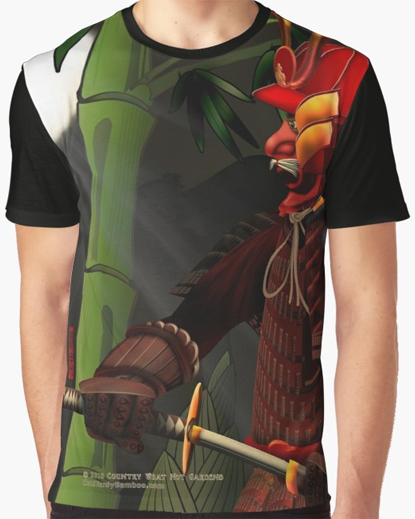 This design is reminiscent of and inspired by vintage Japanese woodblock prints. 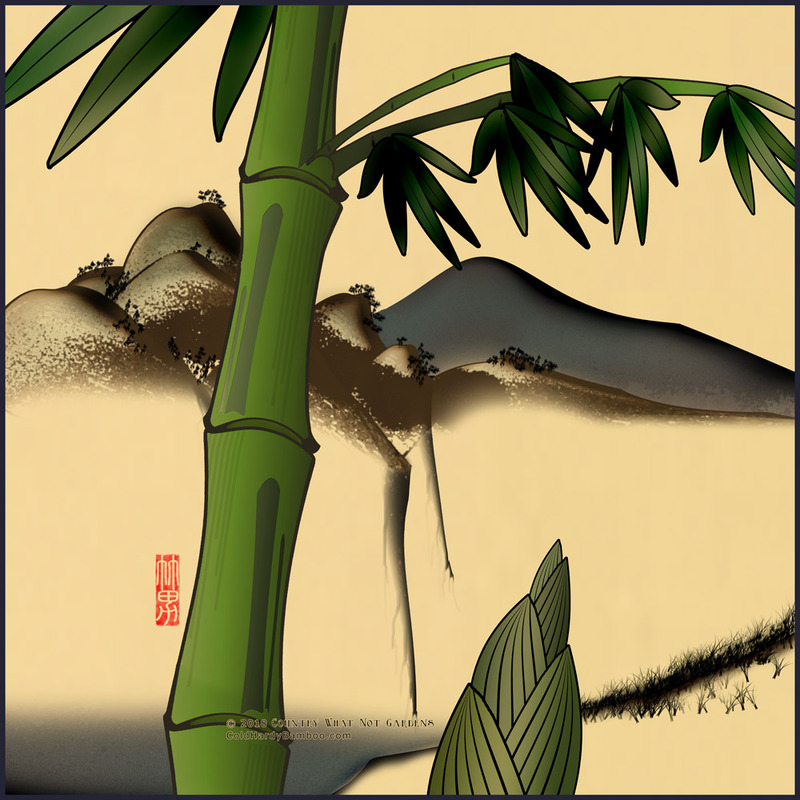 It features a bamboo culm and shoot framing a picturesque mountain scene. 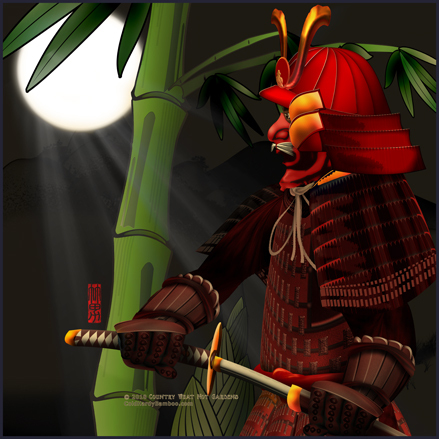 A scene right out of Japan’s ancient feudal period; a samurai stealthily walking through a moonlit bamboo grove. 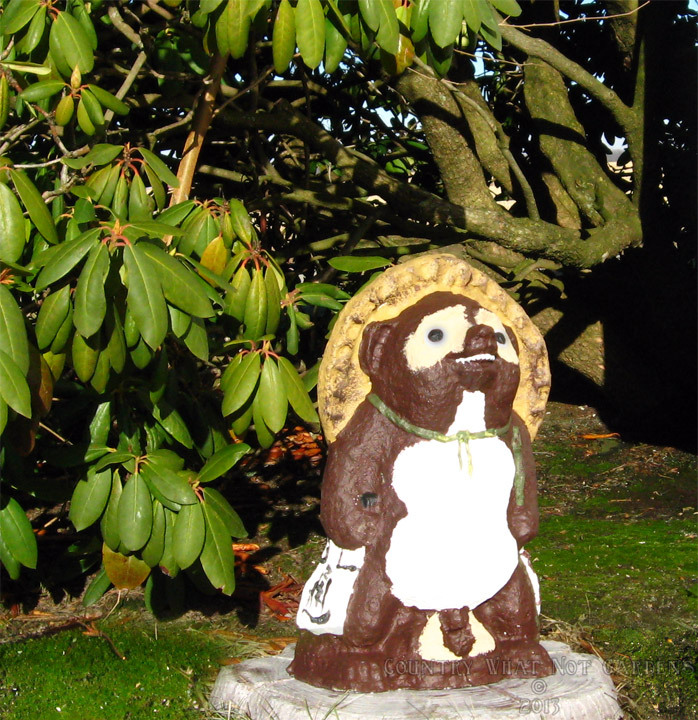 The Tanuki statue has long been a staple of Japanese gardens and is also often times featured at the entrances of homes and businesses. 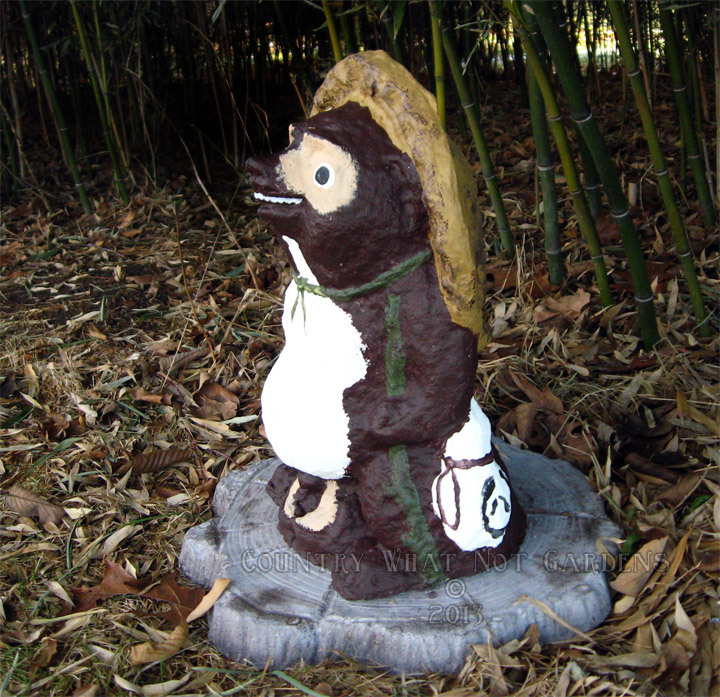 Our solid concrete Tanuki statues are cast in fiber reinforced concrete. 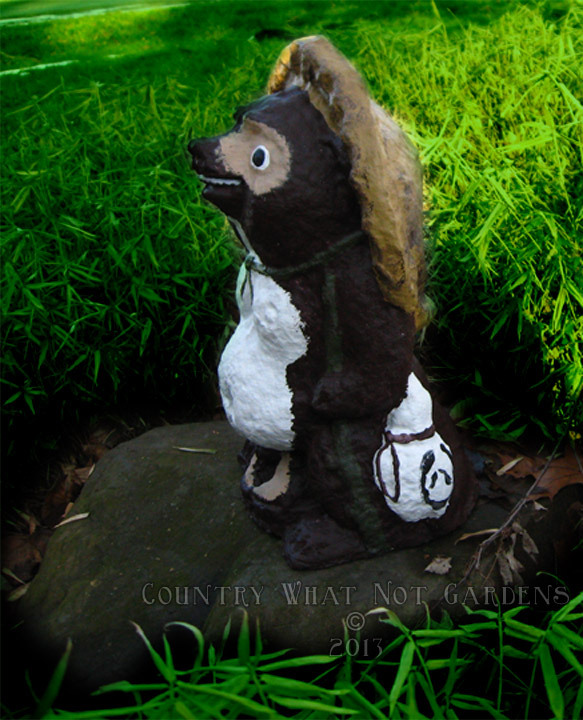 They are sculpted and moulded right here at the bamboo nursery. We allow the concrete to cure slowly for over a month for optimal strength. Each piece then dries for an additional 90 days prior to being painted and sealed. 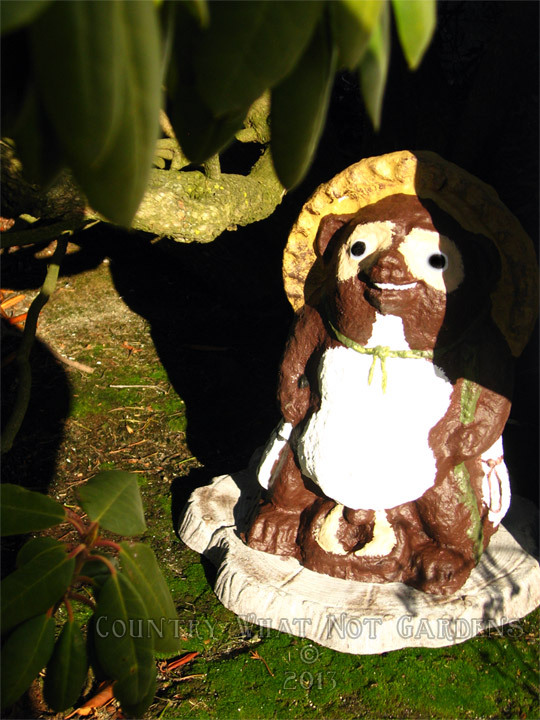 These made in the USA Tanuki feature the Tanuki's most well known traits: A cheeky broad smile, large eyes, straw hat, business ledger or promissory note, sake flask, walking stick, and most notably - the oversized and very visible 'male assets' that are said to provide good luck financially according to Japanese folklore. 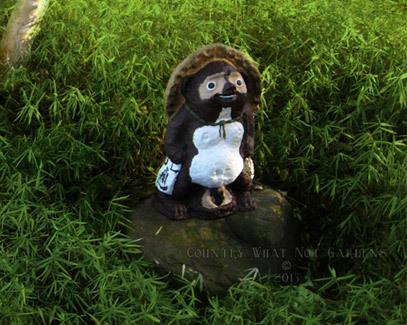 If the Tanuki is planned to be left outdoors it's recommended that you place it on a stepping stone to provide a flat, even surface on which to sit. They are approximately 18 inches tall and weigh 50 Lbs. Each piece is numbered, dated and signed in the concrete on the bottom. * Extra shipping fees apply.